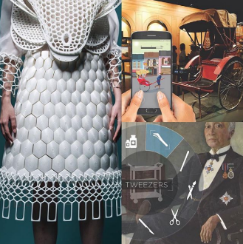 The DigiMuse Presents unveils awarded projects from the inaugural DigiMuse Open Call 2018 that demonstrate the coming together of history, art and technology. Visitors will be treated to a multi-faceted conversation with art and technology through a wide range of immersive and interactive art installations. These presentations include new visual experiences in augmented reality, artificial intelligence, and many more! The DigiMuse programme is an initiative by the National Museum of Singapore (NMS) that seeks to build a vibrant cultural sector, as well as engage with the wider technology industry to encourage creative experimentation in cultural spaces. The programme invites artists, technologists and culture professionals to co-create projects, and provide considered interventions that showcase the possibilities of integrating culture and technology.